During the early nineteenth century, conflict between England and France led to an American trade embargo that restricted the importation of goods from these countries. Soon after, English hostilities on the high seas that led to the War of 1812 also stopped the flow of foreign goods to America, including fine British ceramics. The lack of certain imported goods led to the establishment of a number of new American industrial enterprises to fill the void. In the late 1700s and early 1800s, a form of thin, cream-colored ceramic called creamware was being manufactured in England. One style of creamware was made popular by British Queen Charlotte and became known as Queensware. Queensware enjoyed immense commercial popularity and was one of the items banned during the embargo and subsequent war. 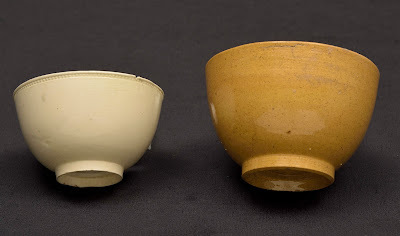 Utilizing local clays, some possibly dug from within the city, Philadelphia potters attempted to make their own versions of Queensware and other fine British earthenware ceramics. However, the use of local clays produced a more yellow vessel body rather than white or cream colored. Some potteries, such as the newly-formed Columbian Pottery, offered a British-trained potter to make the enterprise seem more authentic. By 1808, Scottish-born Master Potter Alexander Trotter was producing earthen tablewares for the Columbian, including yellow tea and coffee pots, sugar boxes, jugs, baking dishes, chamber pots, and other items. The Columbian’s goods were advertised “at prices much lower than they can be imported” and at rates that “are less than half the price of the cheapest imported Liverpool Queensware” (Myers 1980). Trotter’s wares became popular and were soon advertised for sale as far away as Alexandria, Virginia and other cities along the east coast. Trotter continued his work in Philadelphia until around 1815, when the Columbian Pottery closed up and he moved to Pittsburgh. For a short time period Trotter continued manufacturing Queensware in the Pittsburgh area, where he produced vessel forms that were “similar to those of the Potteries in Philadelphia” (Myers 1980). By 1810, another Scotsman, Captain John Mullowny, was advertising similar ceramic articles for sale at his Washington Pottery on Market Street. Mullowny also appears to have been successful in his ventures and by 1812 he had added specialized production techniques and included engine-turned and press-molded Queensware vessels in his inventory (Myers 1980). An advertisement from that same year lists the many vessel forms produced by the Washington Pottery (Philadelphia Aurora General Advertiser 1812). MILK PANS, &c, &c, &c.
they will stand the heat without cracking. Following the end of the war in 1815, many of the potteries continued to manufacture Queensware vessels; however, the resumption of trade with Britain meant that the finer quality Staffordshire wares were available once again and at rates similar to the American-made knock-offs. Ceramics, as well as other British goods, flooded the market in 1815 and 1816 in an attempt to stifle the new American industries. Soon it became apparent that the Philadelphia potters could not compete with England’s finer pieces and most of the Queensware producers were out of business by 1820. The State Museum collections house a number of examples of Queensware recovered from archaeological sites located mainly in the city of Philadelphia. Evaluation of these pieces indicates that the quality of the Philadelphia wares is somewhat lacking. Many issues related to the Queensware pieces appear to be associated with the production and firing of the vessels including: overfired, burned, or bubbled glaze; kiln furniture marks; uneven or missing glaze; crazing; smeared clay; and pitting. Every piece identified as Queensware exhibited at least one, if not several, of these flaws. 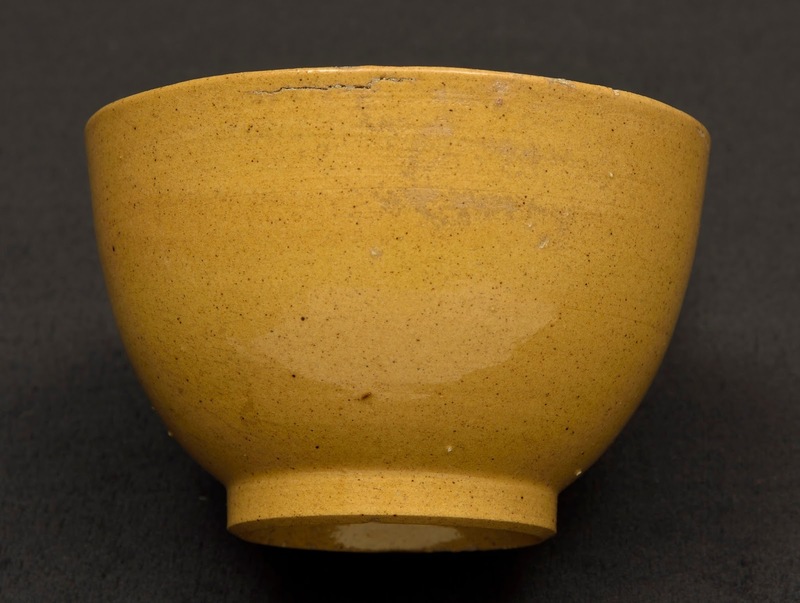 Due to its yellow color, Queensware is often mistaken for yellowware (1828-1930). However, the Queensware pieces have thinner walls and very little decoration, as opposed to yellowware. Queensware colors fall generally into the yellow spectrum but there is a greater variation in shades. Yellowware often exhibits linear bands of varying colors (blue, white, cream) or has a white interior whereas Queensware does not. And Queensware vessels more often take the form of tea pots, cups and saucers, pitchers, and chamberpots, while common yellowware forms are often mixing bowls, basins, milk pans, molds, and baking dishes. 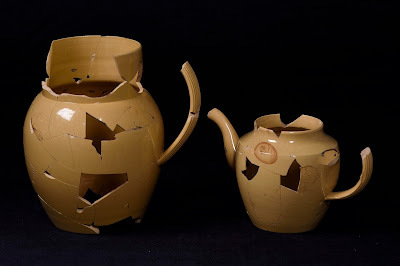 2008 War and Pots: The Impact of Economics and Politics on Ceramic Consumption Patterns. In Ceramics in America 2008. 1980 Handcraft to Industry: Philadelphia Ceramics in the First Half of the Nineteenth Century. Smithsonian Studies in History and Technology, No. 43. Washington: Smithsonian Institution Press. During this year’s excavation at Fort Hunter (2016), the State Museum of Pennsylvania was fortunate enough to have a survey crew from PennDOT perform LiDAR scans of the milk house structure and surrounding excavation units. 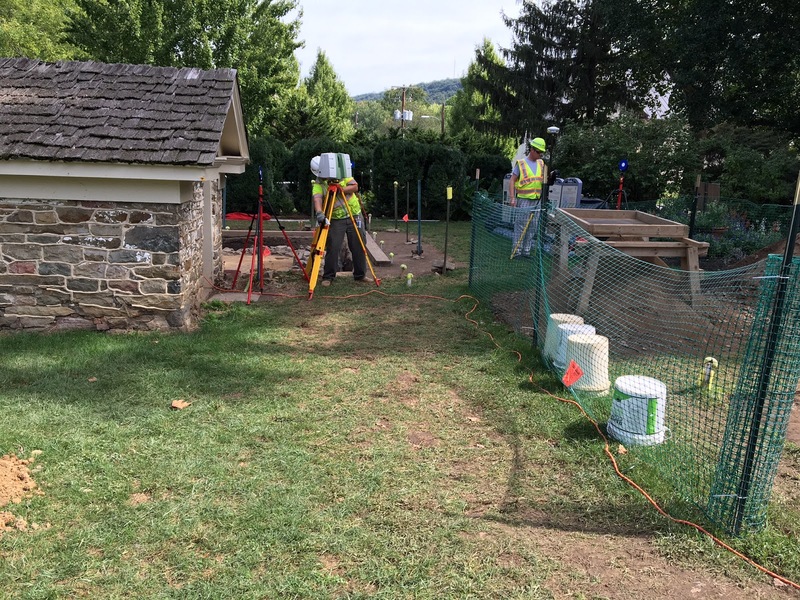 Partnering across agencies provided an opportunity for PennDOT to establish a new bench mark for highway use and for archaeologists to utilize modern technology not available within the Pennsylvania Historical and Museum Commission. LiDAR, a form of 3D scanning, is a method for creating a 3D model of an object, structure or environment. A LiDAR scanner (seen in the image below) bounces millions of points of light off of objects in its path, measuring distance and position. By collecting data on millions of points, a three dimensional point cloud is created which can be processed into a 3D model. PennDOT uses LiDAR to create highly accurate renderings that can be used in the management of Pennsylvania’s roads and bridges. 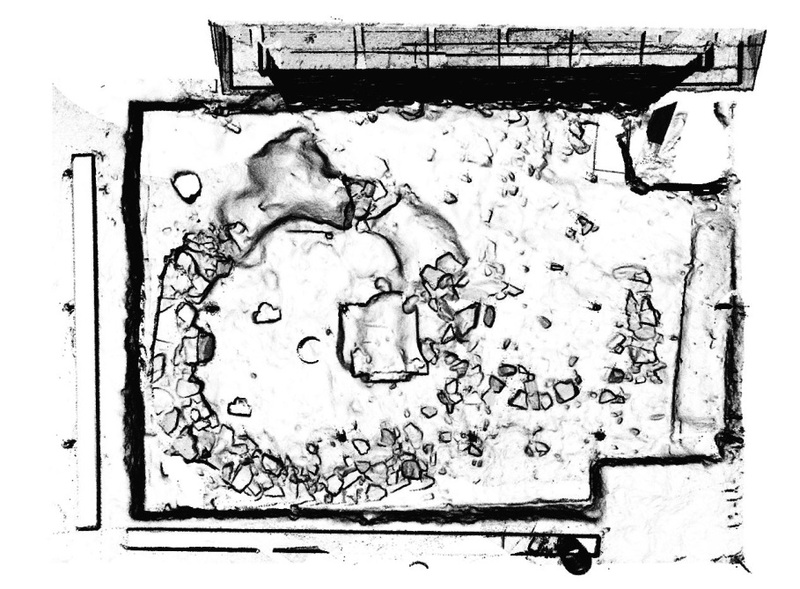 Our excavations at Fort Hunter were scanned using Terrestrial LiDAR. This form of LiDAR, involves setting up the LiDAR scanner in several stationary positions around the site or structure to be scanned. Aerial LiDAR has aided in the discovery of long forgotten archaeological sites obscured by jungle overgrowth. These two types of LiDAR differ not only in their scanning method, but also in the resolution and applications of the data they produce. Terrestrial LiDAR provides more accurate and detailed models of smaller areas than aerial LiDAR, which makes it an especially useful tool in examining features at Fort Hunter. At Fort Hunter, the survey crew used terrestrial LiDAR to create detailed and precise 3D maps of structures and our excavations. The scans of Fort Hunter are comprised of over an estimated 100 million points. Our main objective was to capture information about the milk house and smoke house features, but additional data was also captured. As you can imagine, it is impossible to capture all of the three dimensional data at an archaeological site using photographs and hand drawn maps. 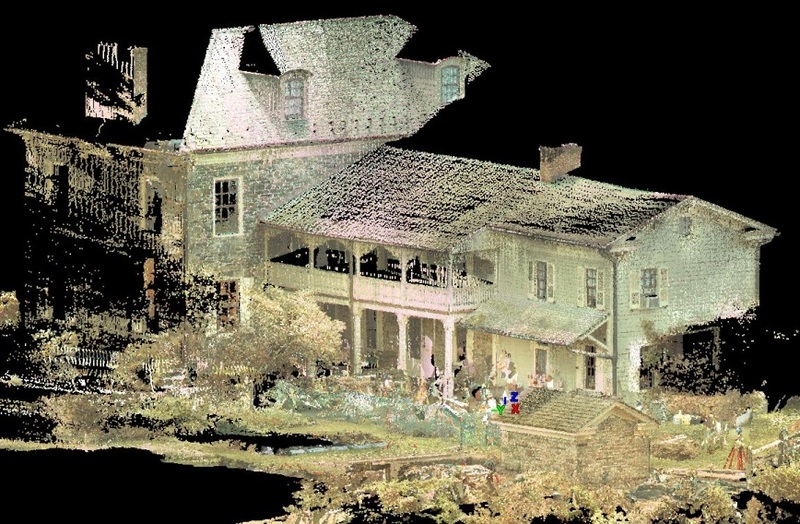 Terrestrial LiDAR creates a map with far more detail and precision than can be created by hand. The processed LiDAR scans that resulted from this endeavor can be rotated 360 degrees, viewed under multiple filters, and a video can even be made to appear as if you are moving through the scanned site. Millimeter-accurate measurements can be made between any points in the model. How will these scans be used? 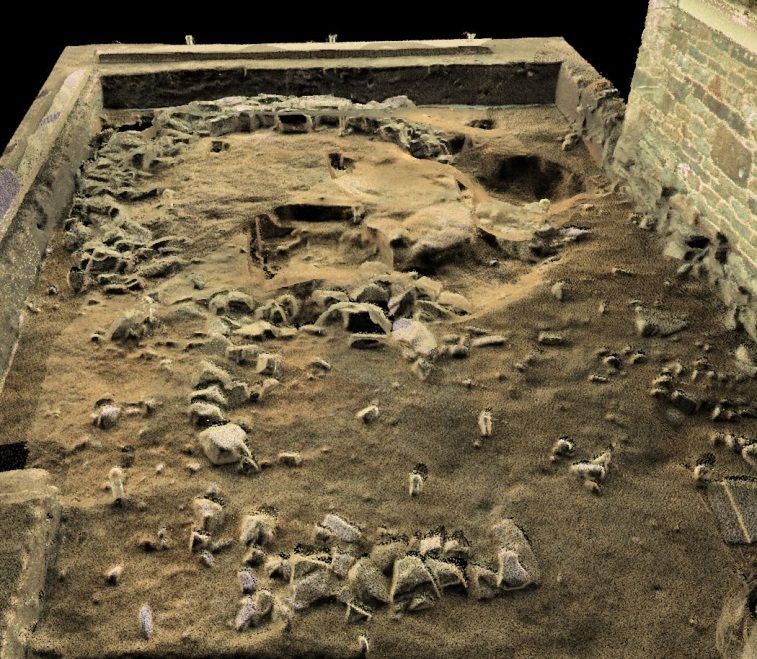 The digital data created by the LiDAR scans will become part of the site’s collected documentation, and it has the ability to greatly enhance the archaeological record without using additional shelf space. In the image below, you can see a circular stone foundation of what is believed to be an octagonal smoke house adjacent to the structure we refer to as the milk house. The survey crew was able to scan both the interior and exterior of the milk house, creating a 3D replica of the structure as it exists today. 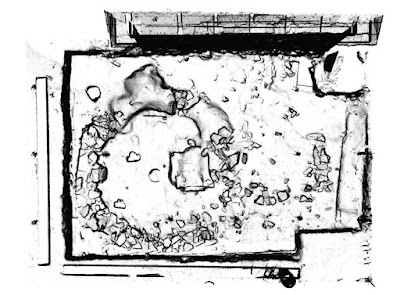 Because archaeology is a destructive process, and because it is generally not practical to leave excavations open indefinitely, LiDAR scans provide an excellent opportunity to digitally recreate a structure or three dimensional feature long after fieldwork has concluded. The images and data from these scans will provide enhanced interpretive material for future exhibits, and carry forward our goal of educating the public about Pennsylvania’s archaeology. 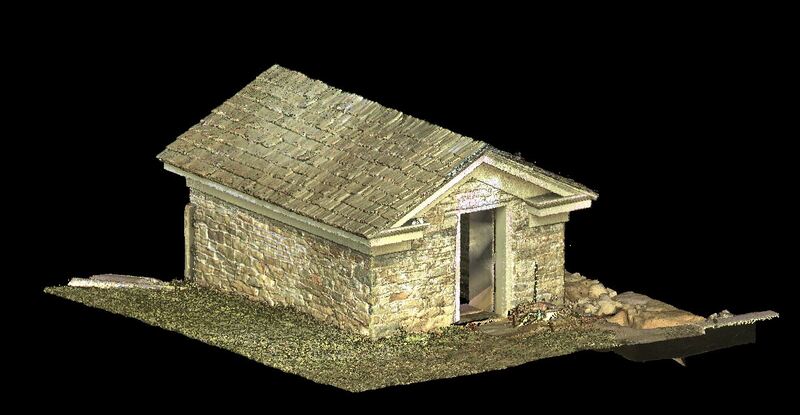 The State Museum of Pennsylvania’s Section of Archaeology would like to extend a big Thank You to PennDOT’s Photogrammetry & Surveys Section for lending their time and talents to provide us with this data. Please visit our gallery of Anthropology and Archaeology on the second floor of The State Museum of Pennsylvania where you can view additional artifacts representing our archaeological heritage. Look for an updated exhibit on our investigation at Fort Hunter Mansion and Park in the spring of 2017.